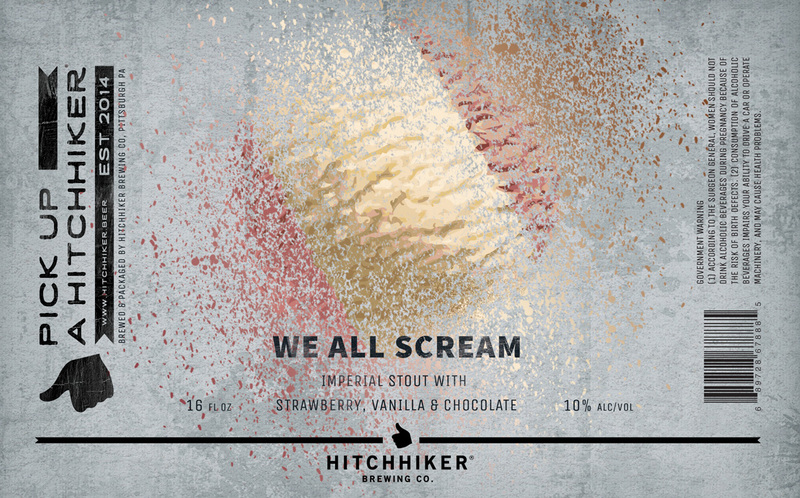 We All Scream | Hitchhiker Brewing Co. Brewed with Milk Sugar. Conditioned on Cocoa Nibs, Strawberry, and Vanilla Beans.